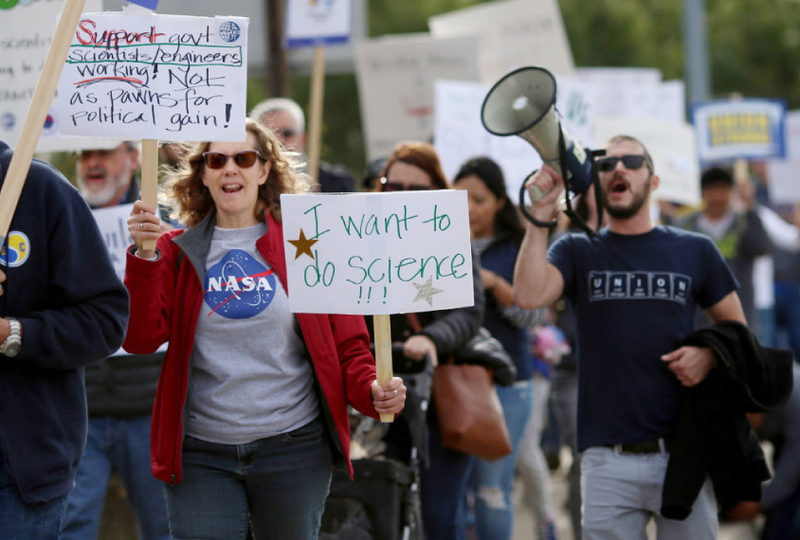 Science of unrest: The government shutdown has stalled some research grants and pay for postdocs. There was nothing in the mail, nor even an email ping to alert Kristin Hook that she would no longer receive a paycheck. Hook is not a government employee; she’s a postdoctoral fellow at the University of Maryland, College Park. But her work on sperm evolution is funded by the National Science Foundation (NSF). So when her check didn’t come through in December, she went to the institute’s website and realized the worst: She would not get paid as long as the U.S. federal government remained shut down. “It is anxiety-inducing because it’s unclear how long this will go on,” she says. Hook’s story is one of dozens that illustrate the far-reaching effects of the shutdown. As the stalemate between President Trump and the Senate extends into its sixth week, the NSF and the National Institutes of Health (NIH) are postponing grant decisions. Hundreds of government employees at the Environmental Protection Agency — whose workers monitor levels of air pollution, among other things — are furloughed. And the Food and Drug Administration is rerouting finances from other divisions so it can continue drug approvals. The shutdown is also affecting the health of autistic children whose parents work for the federal government. Some of these parents are posting social media calls for help with childcare and other bills. One Department of Justice employee and his wife have created a GoFundMe campaign to cover food and medical costs for their family, including their 10-year-old son with autism. The budget stalemate has largely spared agencies relevant to autism research. For instance, the shutdown doesn’t directly affect the NIH or the Centers for Disease Control and Prevention, because their budgets were approved through the end of the fiscal year. But the shutdown is affecting the NIH, regardless. The NIH is required to publish notice of upcoming grant reviews in the Federal Register. The Federal Register is shuttered, however, and is stalling grant reviews, according to Science magazine. It’s unclear exactly how many review meetings are postponed, but “relatively few” have been rescheduled, says NIH spokesperson Emma Wojtowicz. “We are informing scientific review officers and reviewers that they should assume their meetings are on unless notified otherwise,” she says. Researchers who submitted grant proposals to the NSF months ago are also left in the lurch. No grant proposals have been reviewed or approved at that agency since the shutdown began on 21 December, according to a spokesperson.